A Follow Spot: Will "Damn Yankees" Hit It Out of the Park for Prairie Fire? Not exactly a revival, but a rendition in NYC worth mentioning was its appearance as the second of Encores! 's "Summer Stars at Encores" (slightly fuller productions and longer runs) in 2008. It was preceded by "Gypsy" and followed by "The Wiz," and apparently the series is not being continued. It had Jane Krakowski as Lola, Sean Hayes as Applegate, and Cheyenne Jackson as Joe. The original Fosse choreography was reproduced, which as maybe a mistake -- "in the style of" might have suited Ms. Krakowski better. But it was still great fun, and the moment old Joe transformed into young Joe got a huge laugh. Because, yeah, if men got their youth back, wouldn't we all like to return in the shape of Cheyenne Jackson? A lot of people seemed to prefer the Encores! version of the show to the 94 one, which apparently made major book and song order changes. I saw it in 94 on a night Michael Beresse stood in for Jarrod Emick, which was disconcerting, since the short, small, dark-haired guy on stage bore no resemblance to the tall, broad-shouldered blond in the posters that dropped to show us that Joe Hardy had become famous and was doing toothpaste and cereal ads. 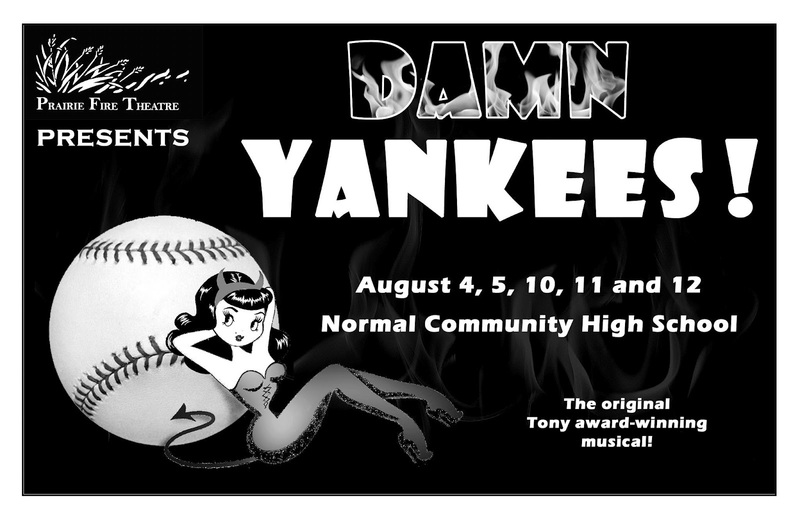 It was a major misfire in production values, as far as I'm concerned, since they could have foreseen the necessity of an understudy going on and either matched the understudy physically to Jarrod Emick or created other posters for Understudy Night. Preferably the former. In any event, Cheyenne Jackson is about as perfect an example of Joe Hardy, beautiful baseball player, as I can imagine. Victor Garber was okay, but nothing special, and Bebe Neuwirth's somewhat chilly persona wasn't exactly right for Lola, either. I think you can tell that production did not hit on all cylinders for me. 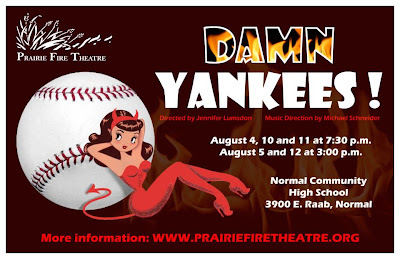 Although I still think it's odd "Damn Yankees" has only had two Broadway (proper) runs.